As Chairman of the Board for APS, Mark has committed to continuing its history of supporting consulting industry professionals with training resources and opportunities. Additionally, it is Mark’s vision to build APS user membership and partner organizations into a thriving entity that services the global business community with responsible, quality and ethical consulting services. In addition to serving as the APS Chairman, Mark is also the CEO of Adept Management Systems (AMS). AMS is a leading management consulting firm that delivers consulting services around the globe for Fortune 500 companies across all business sectors. Under his leadership Adept has been recognized as the 2011 Consulting Firm of the Year. Mark brings over 30 years of expertise in the management consulting industry to his leadership role at APS. Prior to advancing in his current position, Mark worked in the capacity of Chief Analyst, Executive Vice- President of Operations, Regional Vice-President of Operations, Operating Chief, and Vice-President of Sales and Marketing for several successful management consulting firms. His proven leadership in this industry is based on a foundation started in 1981. He began his career as a staff consultant where he learned many of the core consulting values that guide him today. Prior to joining AMS, Mark acquired a wealth of experience in industries such as mining, steel and paper manufacturing, insurance processing, banking, trucking, logistics, food processing and a host other industries too numerous to name here. In addition to this valuable experience, Mark also brings the benefits of formal training and more importantly practical and successful application of proven methodologies such as TQM, Lean Manufacturing, SPC, MRP and Six Sigma. He has also developed training regimes and materials that are still used today as the foundation for the necessary skills for consultants at all levels in the consulting industry. He is a graduate of Slippery Rock University and is a certified Master Productivity Specialist. Mark’s trademark attention to detail, expectation of excellence and his value of people is a common thread that is exhibited in both his personal and professional life. He is an avid boater, car collector and golfer. Born and raised in the Pittsburgh area, and now residing in a suburb of Atlanta, Mark is active in his community by serving on several voluntary boards and commissions where he motivates many of his peers to contribute to the community as well. James Quinn’s experience in the field of productivity improvement spans 21 years, 18 countries and approximately 420 projects ranging from aircraft manufacturing to financial services; eventually alighting on the healthcare sector almost 15 years ago. His understanding of productivity improvement in the sector is exceptional, gained through roles encompassing: Project Manager, Management & Executive Trainer, Sales Executive and Chief Analyst. Never one to balk at a challenge, he formed Meridian Productivity to focus specifically on this unique market. 250 Acute and Primary Care projects and analysis’ later, James displays an undiminished enthusiasm for the sector with which he infects his consultants during internal training events and has an un-paralleled insight as to its needs for future viability. James appears in the APS Hall of Fame as he is one of only 35 Master Productivity Specialists worldwide. Sofyan Shugo is a certified Master Productivity Specialist. He has been instrumental in designing, implementing, and accelerating operational transformation for many local and multi-national companies in diverse industries across Asia and Europe, and gained high respects and trust from the clients. 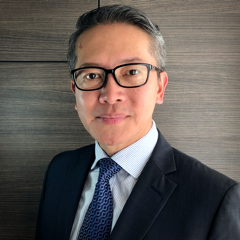 Sofyan is now serving as the Managing Director of Aisho Productivity based out of Singapore, delivering measurable benefits through people for clients in the Asia region. Prior to this, Sofyan worked for two global management productivity implementing firms in various executive roles, including Chief Analyst and Vice President, and led client engagements across multiple sectors in more than 10 countries. His excellent success in producing measurable results for the clients has resulted in numerous repeat assignments, referrals and references. Key deliverables include optimisation of resources, improvement in productivity and throughput, increase in sales revenue, eliminating bottlenecks in the supply chain and up skilling front line personnel and management alike through skills programs. Some of the clients he has worked with include Lafarge, Convenience Retail Asia, Sharp Semiconductor, Fukoku, Monte-Bianco Diamond Applications, Pharos Group, Samick, King Koil, Kedaung Glass, MAC/ Shu Uemura/ Make Up Forever, Saigon Paper, and Tan Hiep Phat Beverage Group. Sofyan’s career in productivity began when he joined Motorola in 1989 where he worked seven years on productivity improvement programs in six sigma environments. A person with passion on youth development, Sofyan was Director of Community Development at an international NGO working in a wide range of peace initiatives, including cultural and educational exchange, environmental awareness and community empowerment, and have received humanitarian awards from countries such as Japan, Brazil, and Singapore. He currently serves on the Board of Trustees of this organization. Having grown up, educated, and lived in 4 countries: Indonesia, Taiwan, Singapore, and Hong Kong, and worked in many parts of Asia, Sofyan has deep understanding of the Asian culture and is a native speaker of both Mandarin and Bahasa Indonesia, and can speak English fluently. Robert A. Jacobson is President of Jacobson Solutions of Chicago, Illinois and Phoenix, Arizona. Until recently he had been President of Integrated Control Systems, Inc, (ICS) commonly referred to as IMPAC® for the last 4 years. IMPAC was one of the world leaders in productivity enhancement. He had also served as Chairman and as a member of the Board of Directors of IMPAC University. In addition, Jacobson had the responsibility of training all operational personnel for the company’s licensees since 1990. Jacobson also served as a Trustee of the International IMPAC Dublin Literary Award Trust. Mr. Jacobson had worked for ICS for almost 36 years and had held positions of increasing authority and responsibility during his entire time for this global organization. In addition, Mr. Jacobson served as Chairman of the Board for the Association of Productivity Specialists, the leading professional organization in the field. He currently serves as a Member of the Board of Directors for that organization. While acting as Chairman of the Association’s Board of Directors, Jacobson participated in VISION 2000 in Prague, The Czech Republic. Mr. Jacobson is a certified Master Productivity Specialist in the association. A Lead Assessor for the International Organization of Standardization (ISO) 9000, Mr. Jacobson was invited to be a member of the U.S. Technical Advisory Group to the Technical Committee 207. This Technical Committee was responsible for establishing the ISO 14000 Standards, which were formulated on Environmental Management Systems. Jacobson has conducted seminars on ISO 9000 in Prague; Jakarta, Indonesia; Warsaw, Poland; Helsinki, Finland; Mexico City, Mexico, and many other numerous cities in the United States and around the world. Mr. Jacobson has also been a speaker at the Global Panel in Maastricht, The Netherlands, in 1993 and 1994. His co-speakers included Carlos Menem, then President of Argentina, among others. He has been a speaker also at the World Gaming Conference in Las Vegas, Nevada, and the Society for Health Systems in New Orleans, Louisiana. Mr. Jacobson has been a speaker and trainer in seminars conducted by his company in conjunction with the United States Military Academy at West Point on the subject of leadership and the modern Chief Executive Officer (CEO). Born and raised in Chicago, Illinois, Jacobson earned both a Master’s degree in Business Administration and a Bachelor’s degree in (pre-med) Biology, with minor’s in Physics and Chemistry, at New Mexico Highlands University. In addition, he earned an Associate of Arts degree, with honors, from Chicago City College, where he was also a member of Phi Theta Kappa, the Junior College Honor Fraternity. He is also a Phi Theta Kappa Scholar. While at Highlands University, he received a Western Interstate Commission on Higher Education Fellowship. He served as a member of the board of the New Mexico Highlands University Foundation for almost 10 years. Before joining IMPAC in 1974, Jacobson worked with the Southwest Colorado Regional Economic Development Board and co-authored the initial database of all economic and statistical information available for that five-county region. Copyright © 2005 - 2019 The Association of Productivity Specialists. All Rights Reserved.